Hello all! It's been much too long since my last update. I've gotten mmuch to busy with a new day job, but I do have something cool to show. 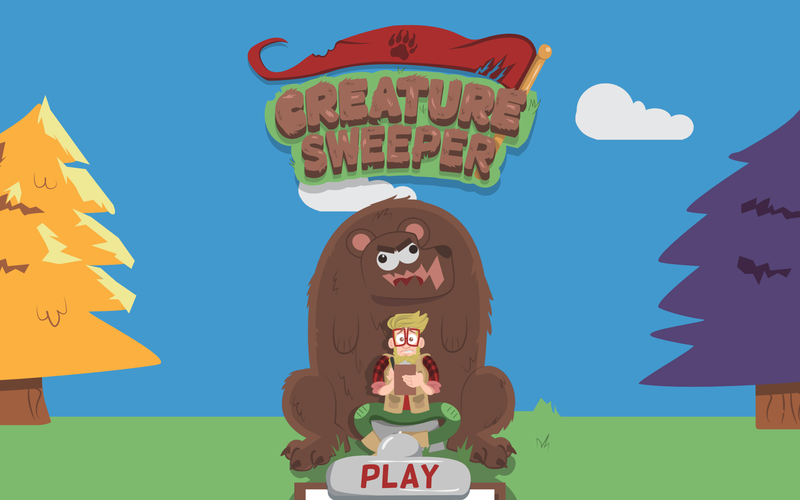 After working on and off on it over the past year, my little side project Creature Sweeper finally launches today! 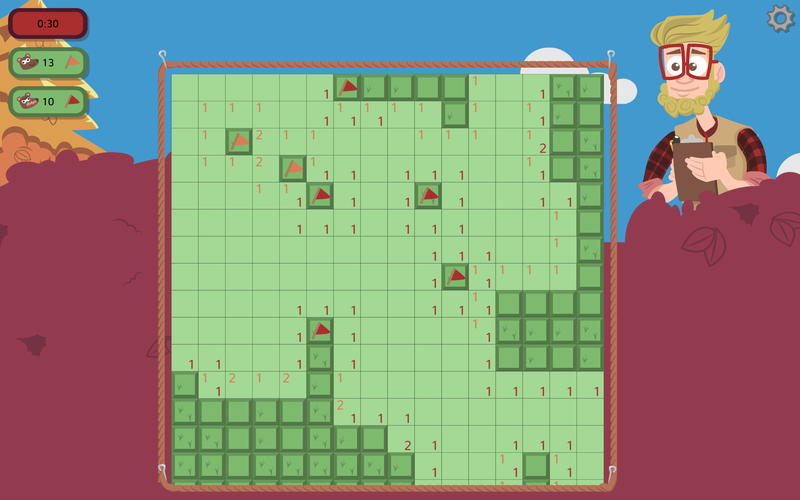 It's a fun litle minesweeper game for iOs, Android and web browsers. Special thanks to Rebecca McConnell for the art, Juhani Junkala for the sound and music, and Ariane Lapointe for the animations. 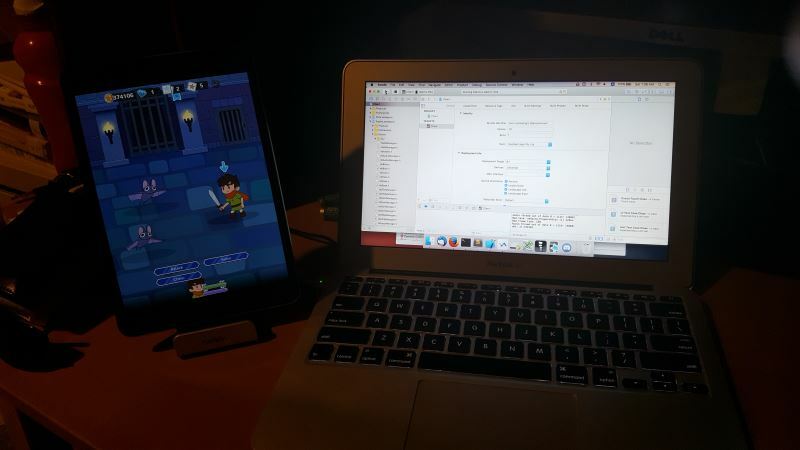 Now it's back to work on Flashcard Clash adding more features and content! This week I finally set up the Adventurers skills so they actually work! Cheer now boosts everyones speed, and salve recovers health. I've also added skill cooldowns, so you can't spam the same move constantly, you now have to wait a few turns. I also fixed a bug with player stats, previously they were stored as an 8bit unsigned integer, to reduce the download size, but that means the maximum number they can store is 255. So when i leveled my Adventurer too high, his strength went over 255 and wrapped back around to 1, so he was suddenly super weak! I'm now storing the stats in a 32bit unsigned, which gives a max of 4 billion. 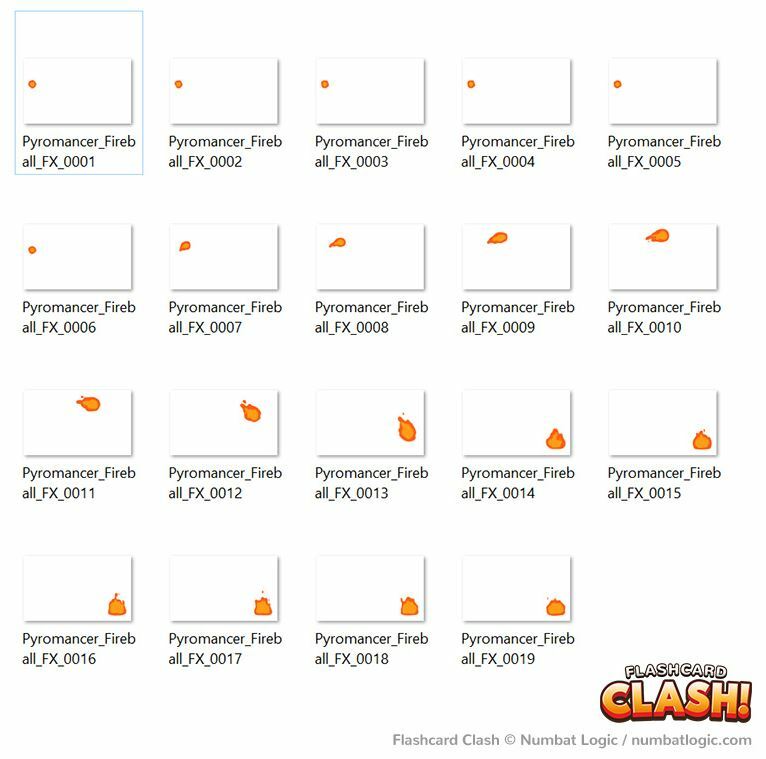 I don't think anyone will be power leveling that high anytime soon. 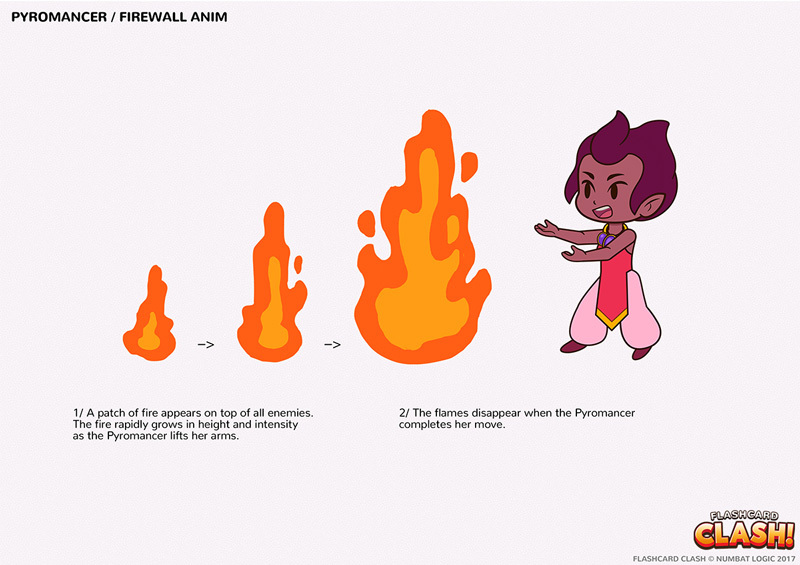 Kristy and Ariane continued their work from last week on the animations for the Pyromancer. 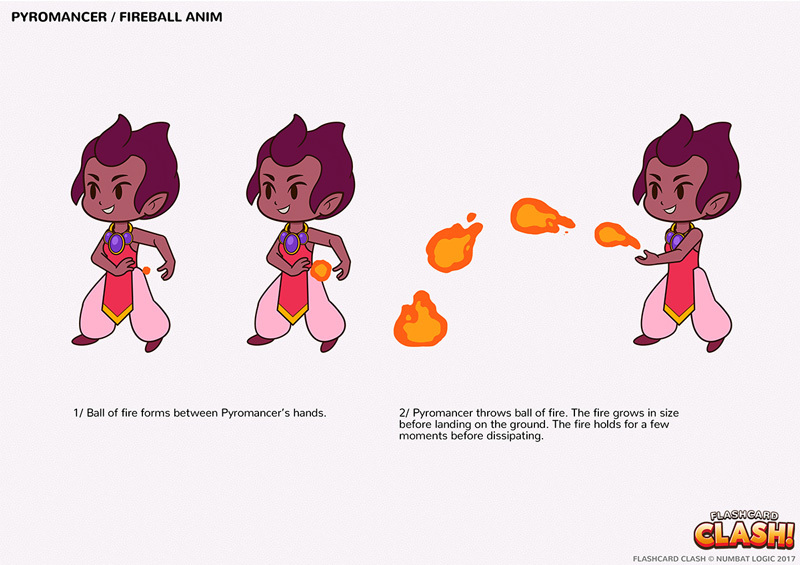 Concept page for the Fireball FX. 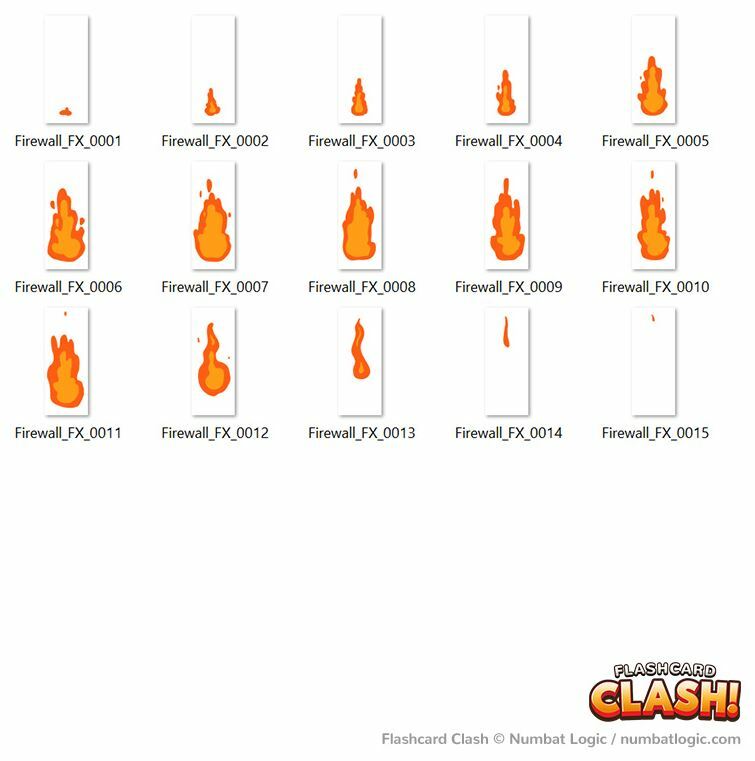 And the final Fireball animation.